It’s 2017 and so far it's looking to be a fine year for me. I have a few conventions plus a cruise this year and I believe this is the perfect way to get my year started! 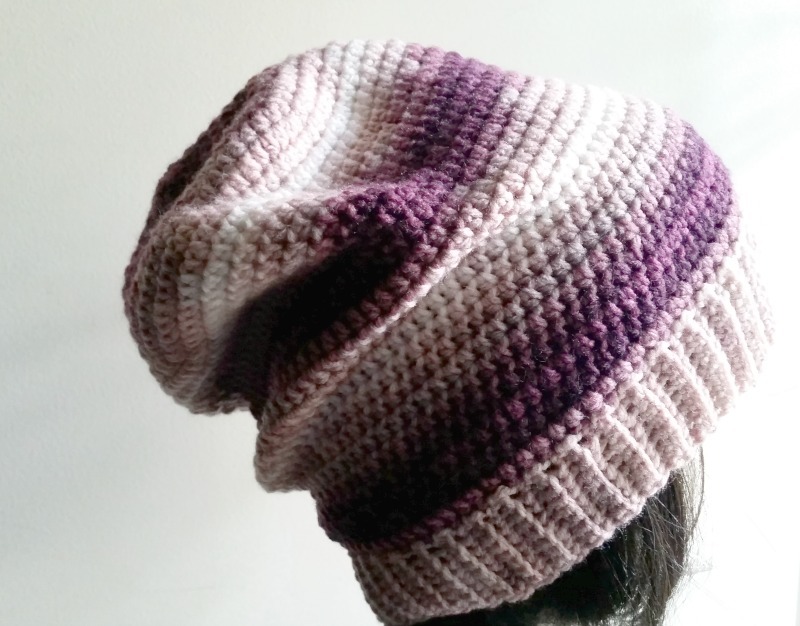 This pattern is fairly easy and is made from the top down, with the ribbed brim added on. A fun way to get a basic look. With a color-changing yarn you can create a fun design. Or choose a single color to keep it simple. The yarn is a Sport weight so any Sport weight should work. The work on the beanie should take anywhere from 6-8 hours depending on your skill level. No gauge on this one, as it can be easily adjusted to fit any size. Just add or take away increases. Or use a bigger/smaller hook. As written it should fit a woman's head size 21-22 inches. Switch to E hook for the brim. Repeat rows 2 and 3 until you get back to the first row. Just sl st in the last st and into the first row of sc to connect them. You will need to turn hat inside out, then sl st the the first and last row of the hat to finish the seam. Love this beanie. Can you tell me the brand and name of yarn you used? Thanks for this awesome design. Another one on the To Do List!!! !